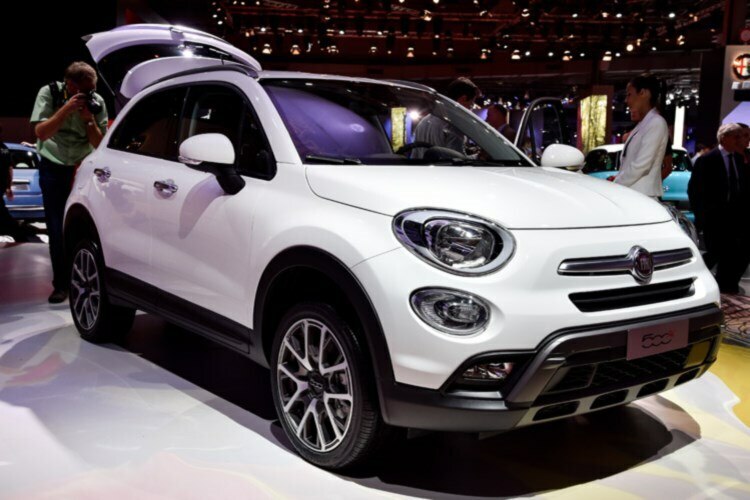 Fiat’s going a bit MINI with its 500 – first we had the Fiat 500L MPV, and now the manufacturer’s unveiled the 500X crossover SUV at the Paris Motor Show. It’s based on the same platform as the Jeep Renegade, and its looks are certainly dividing opinion. There’ll be two versions available – the regular model, “designed to appeal to those with a fun-loving, spirited, metropolitan outlook,” says Fiat – while the more adventurous can buy a Fiat 500X Cross. In similar fashion to the Panda, the 500X Cross will be more off-road biased, likely with an increased ride height. Buyers get a choice of petrol and diesel engines and, in a first for Fiat, will be able to opt for a nine-speed automatic gearbox. Front-wheel drive, petrol-powered models are either equipped with a 110hp, 1.6-litre engine with a five-speed manual gearbox or a 140hp, 1.4-litre Turbo MultiAir with either a six-speed manual or a six-speed automatic ’box. Four-wheel drive petrol models, which are equipped with the nine-speed automatic transmission as standard, are powered either by the 170hp, 1.4-litre turbocharged MultiAir unit. The front-wheel drive diesel range consists of the 95hp, 1.3-litre MultiJet turbodiesel, equipped with a five-speed manual gearbox and the 120hp 1.6-litre MultiJet turbodiesel equipped with a six-speed manual gearbox. The four-wheel drive diesel option is the 140hp, 2.0-litre MultiJet turbodiesel, which will be available with a six-speed manual or nine-speed automatic transmission. Inside, the Fiat 500X features a 5.0- or 6.5-inch colour touchscreen infotainment system featuring Bluetooth, aux-in and USB connectivity. Prices are yet to be confirmed, but Fiat will be looking to compete with the likes of the Nissan Juke and Renault Capture.